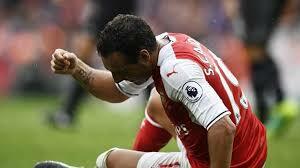 Cazorla out for another five months – Royal Times of Nigeria. Santi Cazorla will be out of action for another five months after enduring a setback in his recovery, but the Arsenal midfielder confirmed he has agreed a new deal, having considered giving up his fight to regain fitness. The thirty-two-year-old has not featured for Arsenal since a six-nil Champions League win over Ludogorets in October due to an ankle injury. It was initially hoped the Spaniard will make a quick return, but he was forced to go under the knife a number of times and eventually missed the remainder of the 2016-2017 campaign. Cazorla underwent surgery for an eighth time this week and he has now revealed a return to action is still far away, saying he has a bacterial infection in surgery and that his wound has refused to heal. The former Villarreal star says sometimes he feels like throwing in the towel, but that his desire to play football is above everything. with Arsenal, which had been due to expire in June, has been renewed, with Arsene Wenger previously announcing the club would exercise an option to hold on to the midfielder.